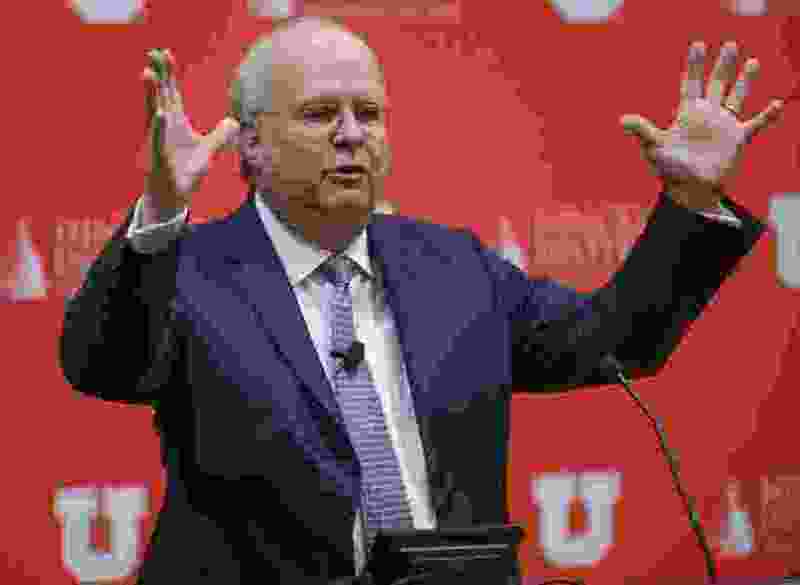 (Leah Hogsten | The Salt Lake Tribune) "We'll be broken for a while," said Karl Rove to the crowd at Utah's Hinckley Institute of Politics. "We're going to stumble along and people are going to try to get done what they can get done." He delivered his speech, "If You Think It's Bad Now, Think Again," on Thursday, February 8, 2018. Rove mostly told history stories about President William McKinley to tout his book, "The Triumph of William McKinley: Why the Election of 1896 Still Matters." Still, Republican strategist Karl Rove said Thursday, the political discourse has been more “nasty and mean and vicious” in America’s past than it is now. Trump, he suggested, is not the worst this country has seen. Speaking at the University of Utah’s Hinckley Institute of Politics, where he studied for two years, Rove offered his take on historical partisanship that has caused deeper rifts. The obvious ones are the Civil War and the Vietnam War, he said. The Civil Rights Movement “split this country.” There was also that time in 1798 when one representative attacked another with a pair of metal tongs on the floor of the U.S. House. In the late 1800s, too, the House was at such an impasse that Democrats refused to respond to roll calls so Republicans wouldn’t have a quorum to pass legislation. One representative, William Harrison “Howdy” Martin, would sharpen a bowie knife on the sole of his boot in front of the speaker to intimidate him. “I don’t remember Nancy Pelosi doing this with her stilettos,” Rove joked. About 50 people scattered through the auditorium laughed, including former Utah Attorney General John Swallow. 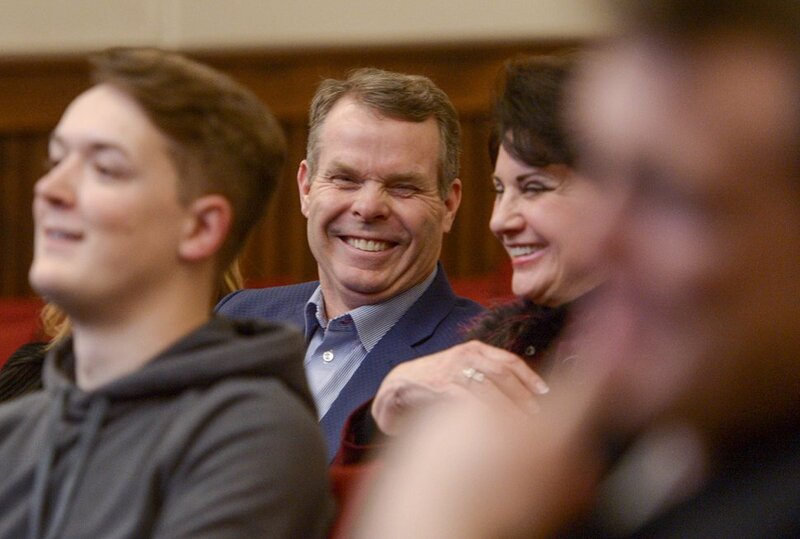 (Leah Hogsten | The Salt Lake Tribune) Former Utah Attorney General John Swallow laughs as Karl Rove delivers his speech "If you think it's bad now, think again" to the University of Utah's Hinckley Institute of Politics on Thursday, February 8, 2018. The brief government shutdown in 2013 over Obamacare and the one this year over immigration, Rove said, also don’t compare to the 107-day stalemate for the House to select a president after Thomas Jefferson and Aaron Burr tied in the election of 1800. But, he hopes, like in the past, the deadlock and divisiveness will end.